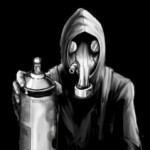 Forum | Medicated Empire x Hip Hop | Has it leaked? Medicated Empire is a group of peers with one thing in common, Hip Hop Music & Life Style. Share those new tracks that you have on replay. Discuss and comment on new album/singles. Discuss and/or debate any Hip Hop related subject. Fill everybody in on new artists on the rise with dope music, because there’s always somebody to drop knowledge on.